We help charitable people support their favorite causes and leave lasting legacies. We offer many charitable giving options that have tax benefits. We administer charitable grant funds that help nonprofit organizations and projects. Each charitable grant fund has its own charitable purpose and specifications, usually established by the original donor(s). Typically over $1 million is paid each year from these funds for grants to worthy causes. We administer scholarship funds that help students pay costs of college education. Each scholarship fund has its own specifications, usually established by the original donor(s). Each year well over $200,000 is paid from these funds for scholarships benefiting qualified students. We help nonprofit organizations raise funds needed to accomplish their goals and complete specific projects. 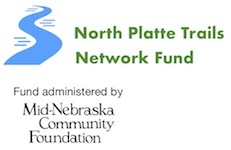 The Community Foundation annually hosts North Platte Giving Day during which donors can donate to their favorite community causes as well as help those nonprofits win cash prizes and earn matching funds. 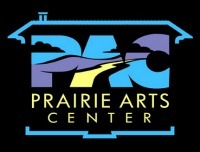 We help communities in the North Platte area meet their changing needs and goals. We invest assets to grow financial resources for charitable purposes. We invest long-term funds and endowments for long-term performance. For the fiscal years beginning June 1980 through May 2017, long-term investments had annual returns that averaged 7.6% per year. As a 501(c)(3) charitable organization, investment returns are tax-exempt. To learn how investment returns power endowment funds, click Power of Endowment.